Please join me in welcoming USA Today bestselling author, Karen Fenech to Conversations today! 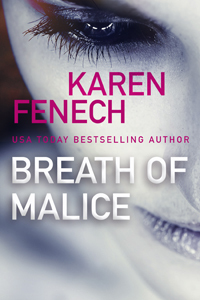 Karen is here to talk about her new release, book one in The Malice Series, Breath of Malice. So be sure and check out the cover and blurb below! 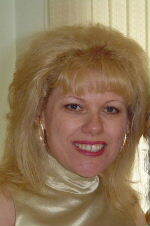 And don't forget to check out her bio too and get to know Karen Fenech. FBI Special Agent Paige Carson hoped she'd be able to start a new life in small-town South Carolina. But when a senator's sister is murdered and a blank postcard is left next to the body, Paige realizes that a killer from her past has found her--and is sending her a very personal message. From the moment he hired her, FBI Special Agent in Charge Sam McKade knew Paige was hiding something. Prompted by this recent threat, she finally opens up: one year ago, she caught the eye of suspected serial killer Todd Thames. Now he's come back to pull her into his game, whether she wants to play or not. As the danger increases, Paige and Sam give in to their growing attraction, and he vows to protect her no matter the cost. But the murderer will stop at nothing to get to his intended prey, and the strong arm of the law--and the shelter of her new love--may not be enough to save her. "Readers will admire Paige for her strength in the face of adversity." " ... intense romantic suspense." My first novel, Unholy Angels was written over a two-year period and, in part, in some very unlikely places such as line-ups at deli-counters and cash registers, and doctor and dentist waiting rooms. While I was out running errands, I jotted down scenes for the story in a notebook I toted around in my purse, and then typed them up when I returned home. Writing novels is what I have wanted to do since I was ten-years-old and undertook to write a book based on my beloved Nancy Drew mysteries. As I grew older, I continued to read mysteries but I found that as much as I enjoyed attempting to solve the puzzle, I became enthralled whenever a new development occurred in the romantic relationships of the characters. When I thought of writing Unholy Angels, I knew it would have to be a romance. Of course, my love of mystery and suspense meant that while my characters were finding love, they would also face life-threatening danger! I live with my husband and daughter. When I’m not writing, or spending time with my family, you can usually find me curled up with a good book, or out shopping for one.